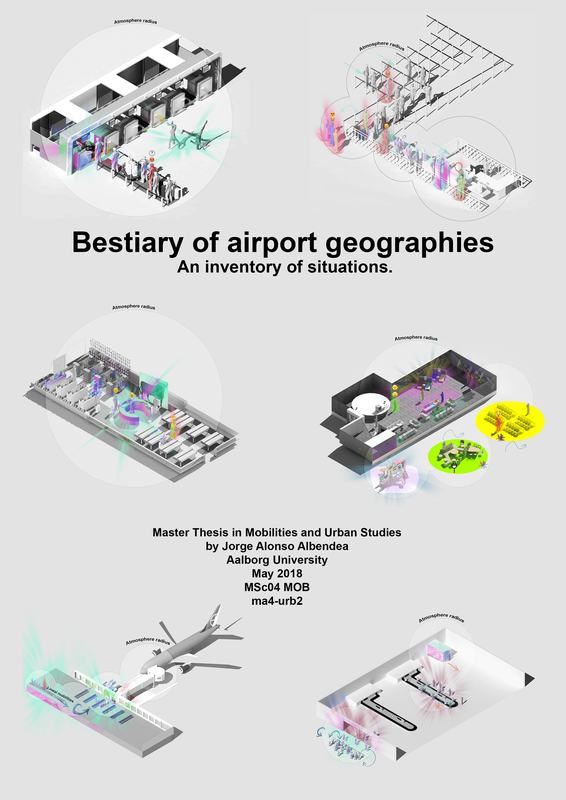 The present project is a master thesis of the Master in mobilities and urban design at Aalborg University. It represents an affective approach to the airport as a psychogeographical situation (McDonough, 2002) which believes that the airport is not only a blank space but a juxtaposition of atmospheres (Adey, 2008b) described by subjects, objects, and contexts. The methodology used in this thesis consists of a mixture of qualitative and quantitative methods from the pragmatic point of view. Surveys, visual ethnography, mappings, observations, netnography (twitter analysis and analysis of web pages and forums), and architectural analysis have been made. Some of these methods have been applied in the case study of this project which is the Adolfo Suárez Madrid-Barajas Airport (MAD airport). The literature review is structured in three parts, 1) Place, design, and passenger. 2) Affective atmospheres and 3) Situations in airports. Following this, the analysis and results show the concluding marks as airport situation illustrations that talks about the different atmospheres happening from the check-in area to the boarding gate. Moreover, a concluding chapter and recommendations about future research is shown.